Keyboardist and songwriter BIGYUKI is continuing his transformation of creative music using digital devices with his debut album Reaching For Chiron. The album is a perfect synthesis of heart and technology, heavy beats, and resilient melodies. Raised in Japan, BIGYUKI moved to Boston to attend Berklee College of Music. Up until that point a majority of his keyboard experience had been with the classical masters, especially Chopin. You can hear this in his music, the beautiful melodies equally paired with formidable technique. A move to New York helped to solidify BIGYUKI’s music vision. He worked regularly with hip-hop artists like Talib Kweli and Matisyahu and made numerous contributions to the long-awaited return from A Tribe Called Quest. 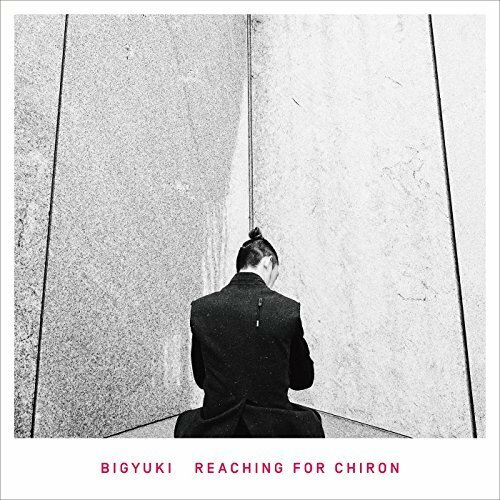 All of these elements — Chopin, jazz, gospel, hip-hop — reside between the keys on BIGYUKI’s debut, Reaching For Chiron. Joining BIGYUKI is a list of creative musicians: Lenny “The Ox” Reece on drums and drummer Justin Tyson, with Randy Runyon on guitar and an assist from Taylor McFerrin on two tracks. Vocalist Chris Turner joins, crooning poet J. Ivy’s impassioned lyrics over drummer Louis Cato. The album opener “Pom Pom,” is an intergalactic transmission with the ethereal, that develops into a malleable swim through space fueled by a storm of synths. Runyon’s guitar figures are very interesting and drummer Justin Tyson’s driving hi-hat brings the intensity. Based on a simple harmonic structure, BIGYUKI relies on interesting forms and creative synth patterns to keep our interest throughout the piece. Drummer Marcus Gilmore brings the funk on “Missing Ones,” a chill-out crawl that blinks breathlessly from the atmosphere. Programing by Reuben Cainer and production by Bae Bro, adds the right amount of sass and class to the track. “Belong” features BIGYUKI’s more introspective and delicate moment of the album. With immaculate rhythms programmed by Cainer, BIGYUKI channels an inner calm that becomes even more focused as the performance progresses amidst the unrelenting futurism found throughout the album. There are still strong elements of Chopin and the dance floor streaming through the composition. “Burnt N Turnt” is BIGYUKI embracing the club rhythms full throttle with the help of producer Bae Bro, the tune is a driving mix of samples and synthesizers that shake your body loose. This is the duo’s collaboration and its indebted to the heavy jam; with swirling synths and rhythmic vocal samples that are twisted into place over dense drum programming. BIGYUKI is continuing to push the ever-changing boundaries of jazz music and the sounds and inspirations used to form it. With an industrial pulse and futuristic sounds, the songs are incredibly indebted to the science fiction soundtracks of the 1980s as well as the club scene. BIGYUKI, is a keyboardist that has soul, his music is all about giving the musicians freedom to stretch. BIGYUKI makes the music his playground, and we are invited to play-a-long as listeners as we experience the thrill of Reaching For Chiron. Be the first to comment on "BIGYUKI | Reaching For Chiron"